Correlation of Water Lines in Fife – Why Choose Us? Home and business owners frustrated by undetected water leakage anywhere on their property should get in touch with Clearwater Leak Detection. 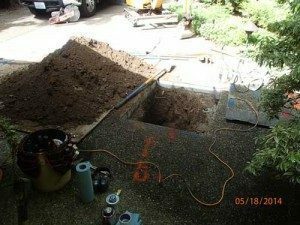 We offer highly specialized services for leak correlation of water lines in the Fife, WA area. We use a high-tech digital leak detection system for confirming leakage in a water pipe and then tracing the leak to its precise point of origin. This water leak detection system works effectively with all types of water lines. You can call us for leak detection through correlation of water lines, whether your property has PVC, pre-stressed concrete, steel or cast iron pipes. When is Water Line Correlation Used on Fife Property? We also recommend water line correlation for leak detection in big sections of pipes as well as in large diameter pipes that are usually installed in commercial facilities. Our company has the expertise, experience, and capabilities for handling any leak detection job involving correlation of water lines. No matter what type of property or water pipes we are called to work on, we are up to the job! How Does a Digital Leak Detection System Work in Fife? Leakage of water from a pressurized, underground pipe produces clanking, hissing and splashing sounds. The digital leak detection system uses these very sounds to pinpoint the source of leakage. Call Clearwater Leak Detection to schedule services for correlation of water lines with a digital leak detection system. Fife residents can call us at (206) 686-9300.